Whenever you attempt to analyze any playoff series in any sport, you’re going to be looking for certain intangibles, the little things that could make the difference between winning and losing. Both teams have sufficient quantities of each. The Sharks have managed to compete without Erik Karlsson, their all-star defenseman, for a couple of stretches this season. But he’s back and his presence will undoubtedly be felt. San Jose also has the ability to hurt you with all four of its lines. And with that in mind, we are examining the bottom-six depth of both teams’ forwards and the fourth line in particular. Interestingly, there are a few similarities. 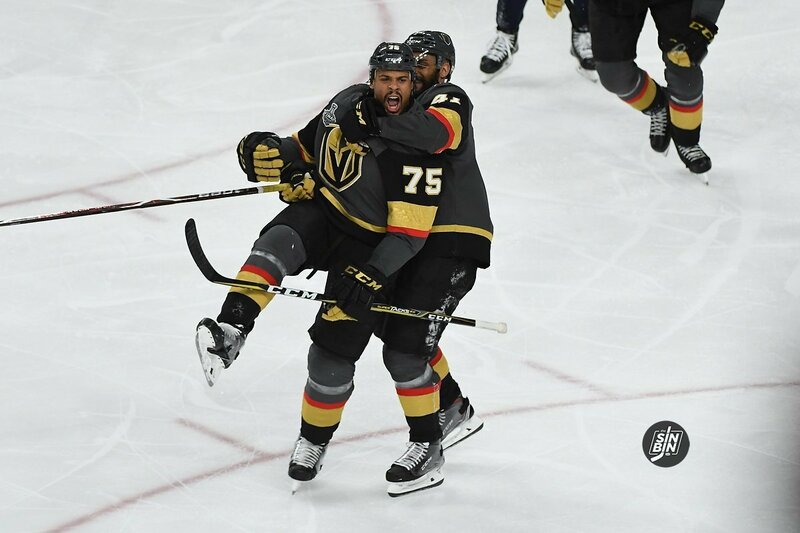 The Knights have used different wingers on the left side to work with center Pierre-Edouard Bellemare and right wing Ryan Reaves. 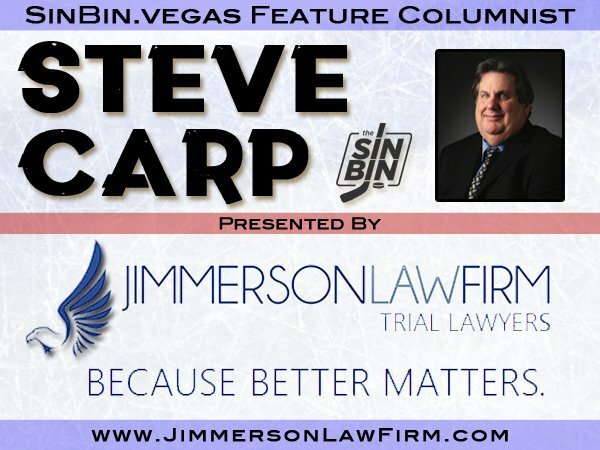 And whether it has been Ryan Carpenter, William Carrier or Tomas Nosek, the Vegas fourth line hardly misses a beat. The Sharks have also used different people on their fourth line. According to our good friend Sheng Peng who covers the Sharks for FearTheFin.com, Peter DeBoer has used a mix of Barclay Goodrow, Melker Karlsson, Micheal Haley and have also used Joonas Donskoi, Lukas Radil and Dylan Gambrell though it’s doubtful the last two will see action. If Timo Meier’s injured left wrist has improved enough for him to play, he’s likely to be in the mix as well. Like Gerard Gallant, DeBoer is blessed with some options for his fourth line. For Gallant, he’ll let the players decide who plays. That’s not going to be as easy as it sounds. Carpenter has played very well. Same for Nosek. Carrier has been his usual self since he came back a couple of weeks ago, throwing his body around and using his speed to help on the forecheck. We have a great group of guys. Nobody’s going to complain about who plays and who doesn’t. It’s all about winning. -Carpenter. Of course, Reaves is in the spotlight. When the two teams met on March 30 at SAP Center, he was right in the middle of everything. He will be Public Enemy No. 1 with the Sharks’ fans. But if you think he’s going to be dropping the gloves every game, guess again. 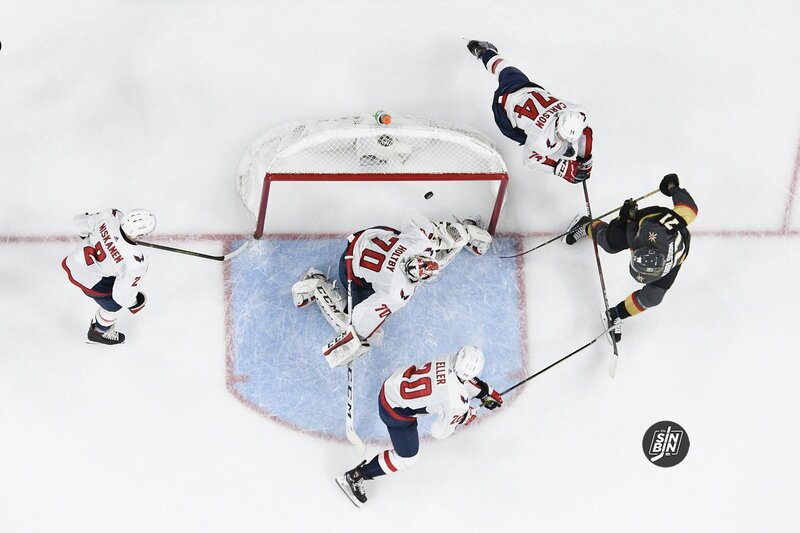 Unlike baseball where there’s one pitch or football where there’s one play, hockey is not a game that is often decided, or even swung, by an individual moment in a game. 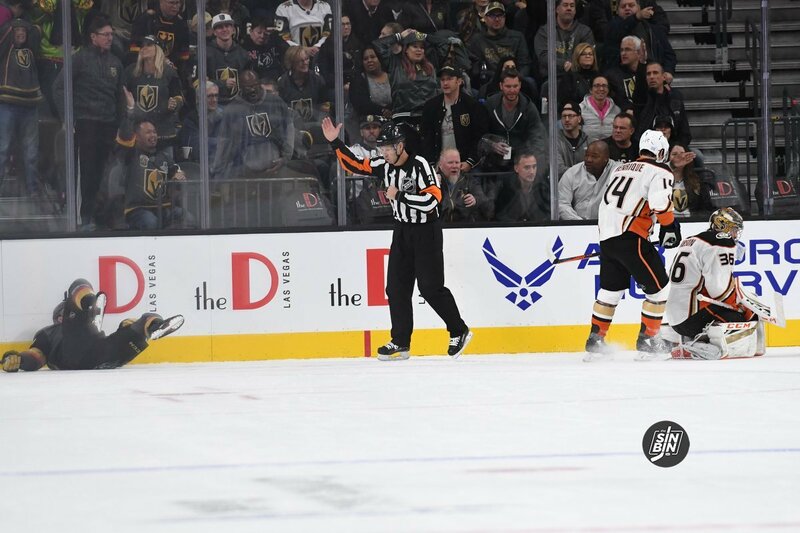 However, during the game against Anaheim, Tomas Nosek and Pierre-Edouard Bellemare combined to make a play that flipped the course of that game and if all goes well, could end up changing the course of the season. It came late in a somewhat sloppily played first period. 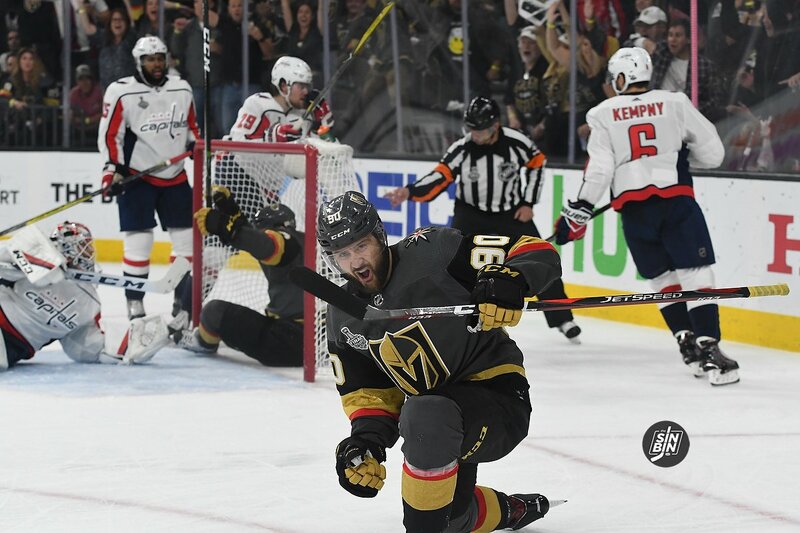 The Golden Knights had taken a penalty and appeared like they could be headed for the all too familiar fate of falling behind early. The penalty kill begins with Bellemare winning the draw, Brayden McNabb clears the puck, and the Golden Knights stop the first entry. But then, the Ducks maintain possession for 20 more seconds before setting up a shot from the high slot. It’s wired, Bellemare courageously blocks it, he then finds it first and springs Nosek into open ice. Here, give it a watch. 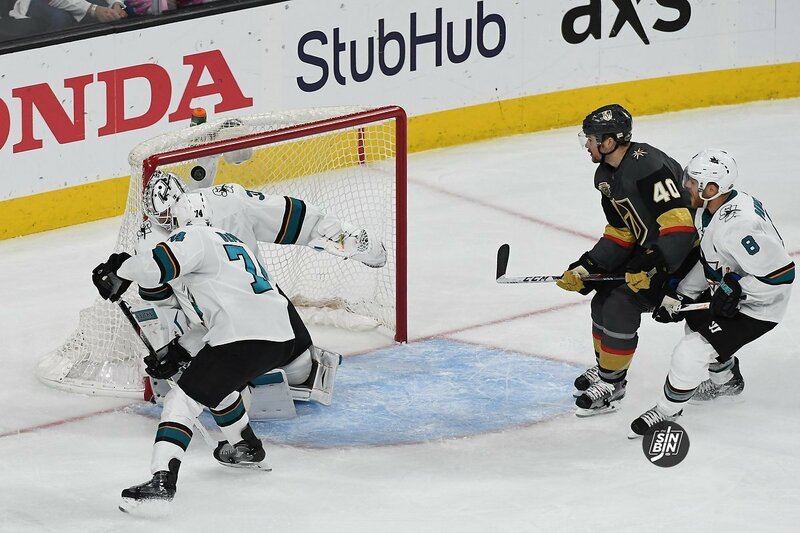 Nosek picks up the puck and drives directly toward the goal drawing a penalty, thus killing off the current penalty and earning Vegas a power play. But it’s not just the block and the breakaway, it’s when it happened in the shift. Penalty kill shifts are meant to be as short as possible, :20-:30 is great for forwards. Once you can safely change, you are supposed to do it. 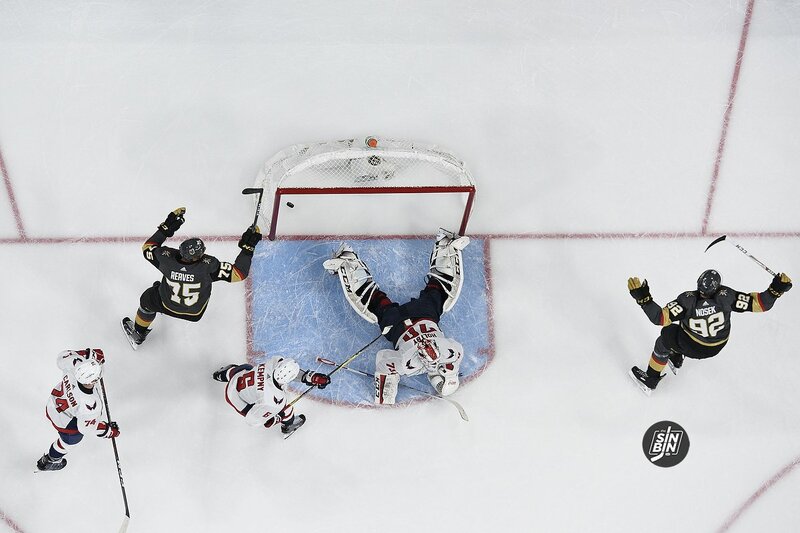 The normal play there would have been to send the puck down and get off the ice, but Nosek dug deep into his gas tank, already :50 seconds into the shift, and went straight to the net. One was signed before the Expansion Draft, another was selected in the Expansion Draft, and the third was acquired at the trade deadline. Tomas Hyka, Tomas Nosek, and Tomas Tatar combined to play 97 games for the Golden Knights in 2017-18 in which they scored 12 goals and tallied 12 assists. 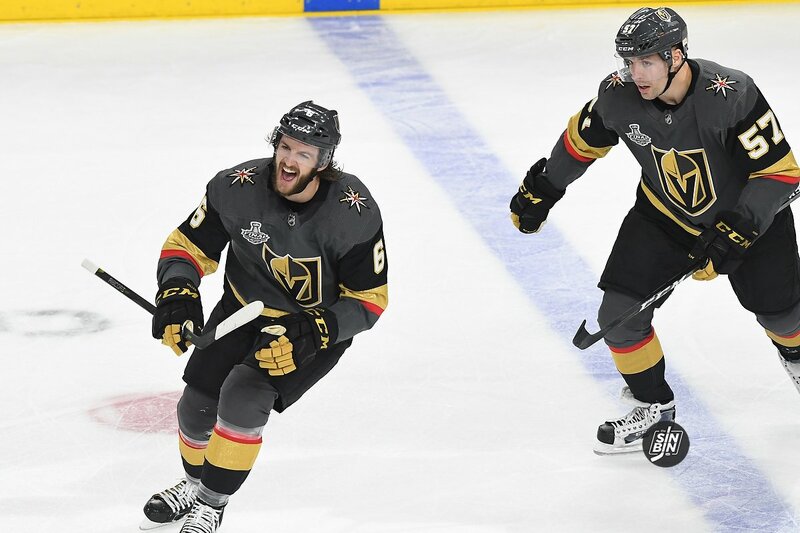 Aside from a few magical moments from Nosek and a couple solid postseason efforts from Tatar, the trio of Tomases were nothing but role players for the Golden Knights in their run to the Stanley Cup Final. In 2018-19, that should change. 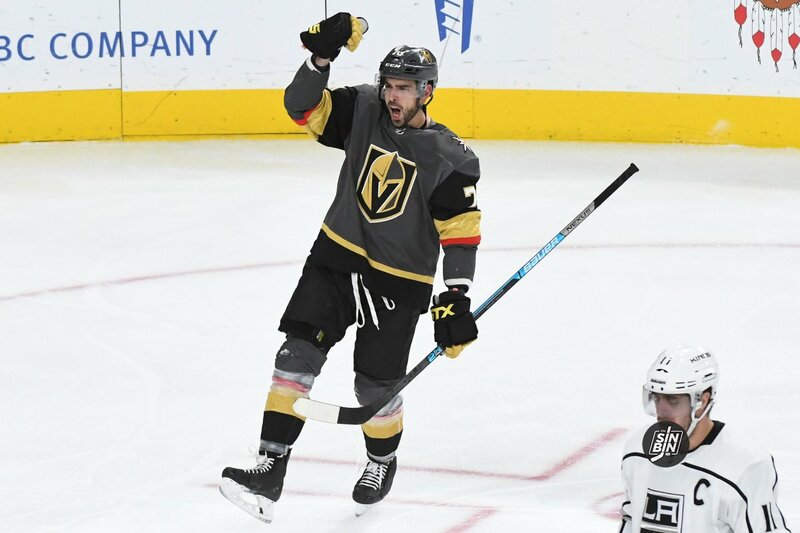 By letting David Perron and James Neal leave via free agency and signing just one NHL-caliber forward, George McPhee has signaled that he believes the team has enough fire-power already within the organization to pick up the 90 points he let walk out the door. That’s where the Tomases come in. All three should have expanded roles as Tatar is expected to move up the depth chart to become a second line winger, Nosek has a legitimate shot at making his way onto the third (or even second) line and any production out of Hyka would be a bonus compared to the Brendan Leipsic era. Tatar is a perennial 20 goal scorer but never hit his stride after coming over from Detroit at the deadline. He’s almost certainly going to be placed in a more offensive role, likely playing with some combination of Erik Haula, Paul Stastny, and Alex Tuch. Tatar posted a 94.0 PDO in his 20 game stint with the Golden Knights, a full five points below his career average, and the worst on-ice shooting percentage for and on-ice shooting percentage against numbers of his career. These are heavy indicators that as poor as Tatar appeared, it’s probable he’ll bounce back. (If you forgot what PDO is, click here) He’s the not-so-secret weapon. A weapon the Golden Knights can’t afford to have struggle again. Arbitration For Golden Knights: Good? Bad? Neither? The Golden Knights made “news” yesterday by confirming William Karlsson, Colin Miller, and Tomas Nosek have all filed for arbitration. In reality, this isn’t really news at all. 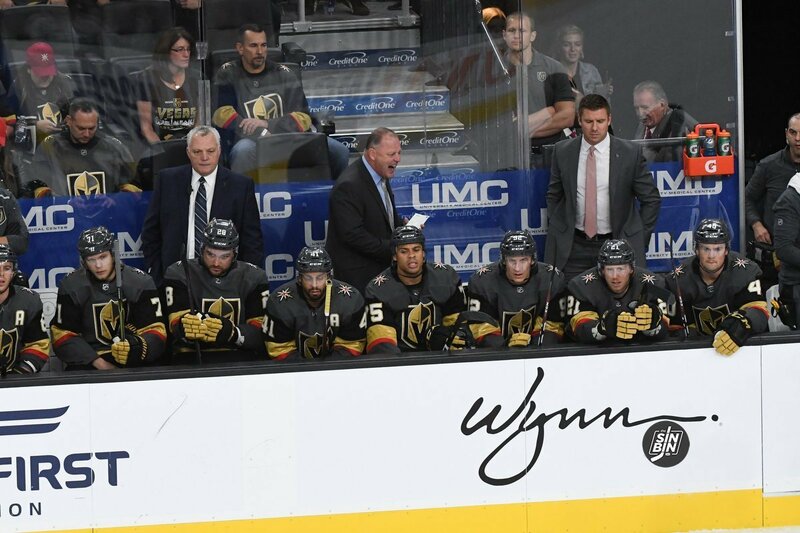 However, based on the wide range of reactions we received on Twitter, Facebook, and face-to-face, it feels like a good time to explain how this all works and why the three Golden Knights filing for arbitration is not a good or bad thing for either the player or the team. In the NHL, when a player reaches the end of a contract they are placed into one of three categories. James Neal, David Perron, Luca Sbisa, and Ryan Reaves were all older than 27, so they all became UFA’s. That brings us to the difference between the three categories. In short, the difference is how much freedom a player has to negotiate. An unrestricted free agent (UFA), as the name suggests, has no restrictions. He can solicit offers from all teams and can sign with whichever one he pleases. A restricted free agent (RFA) on the other hand can only negotiate with his current team and is not free to leave for a new team. If the team wants to retain the player, he will be extended a “qualifying offer” and must sign it if he would like to remain in the NHL. If the team does not extend the qualifying offer he then becomes a UFA and is free to sign with any team. An RFA with arbitration rights has one more step in leveraging a better contract. Rather than being forced to sign the qualifying offer, he can choose to file for arbitration. In other words, he can ask for a raise. So, let’s go through the steps of the process for RFA’s without arbitration rights, like Theodore and Carrier. That’s it. The player has no negotiating power and is essentially stuck signing the offer. The dollar value of a qualifying offer is determined by the NHL’s Collective Bargaining Agreement (CBA). The team hands the player a contract and their either sign it or leave the NHL. The process for RFA’s with arbitration rights, like Karlsson, Miller, and Nosek adds one more step, giving the player that bit of negotiating power. Rather than being forced to sign the qualifying offer, the player can file for arbitration. Arbitration means both sides will present how much they believe the player is worth and then a third party will decide the contract the team and player will sign. Of course, the player must remain with their original team, so the negotiating power is significantly less than that of a UFA who can negotiate with all teams. Tomas Nosek’s Game 1 winning goal was a Stanley Cup moment we’ll see for years to come. The men behind the tiebreaker were understandably laughing, smiling and in quite the jovial mood the following day. Theodore’s first thought was to shoot the puck but hesitated because his aim was off earlier in the game. Nosek created open space off to the side of the net, allowing Theodore to make a beautiful pass. The 25-year-old Czech showed immense emotions in Game 1, something Golden Knights fans don’t often see from #92. At one point in the game, Nosek skated back to the bench and repeatedly slammed his stick on the boards. It was clear he was frustrated about something. Is that why Nosek erupted in celebration after scoring his game-winning goal? Both players are relishing the moment of playing on the NHL’s biggest stage. They’re feeling confident and ready to make an impact in Game 2. 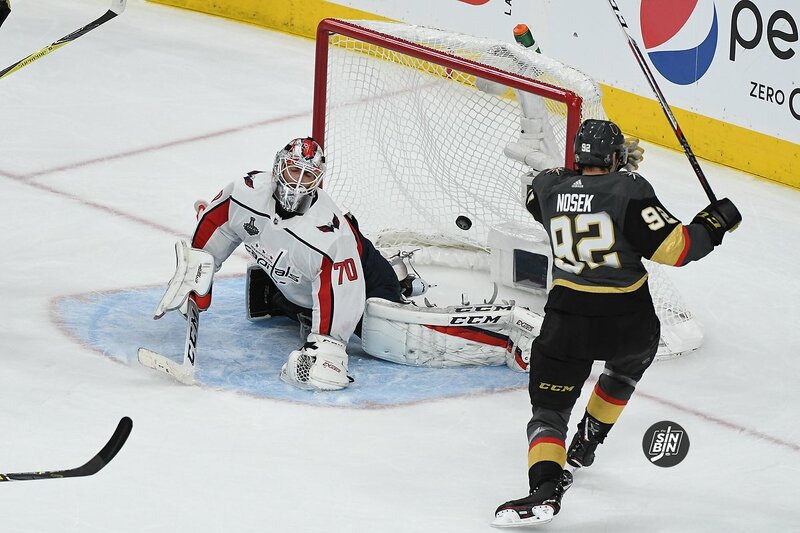 Nosek and Theodore are normally reserved on the ice, so fans should appreciate the emotions in the Stanley Cup Finals. Because it’s working.